Extraordinary stories, unusual people and a sideways look at the world. 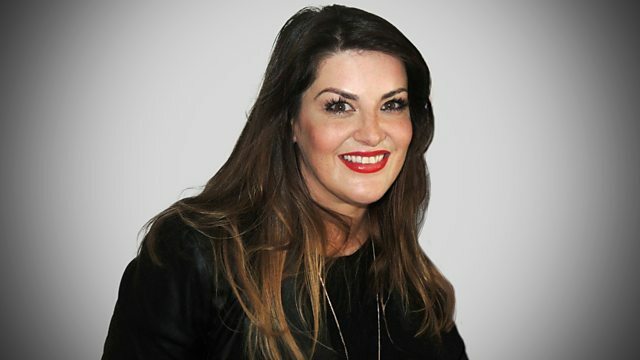 Actress Jodie Prenger joins Aasmah Mir and the Rev Richard Coles. With Inheritance Tracks from Ian Hislop. The actress Jodie Prenger joins Aasmah Mir and the Rev. Richard Coles. Best known for winning the role of Nancy in the West End production of Oliver! She is now receiving rave reviews for her performance as Shirley Valentine in the 30th anniversary UK tour. JP Devlin meets Jess Turtle, who recalls how her own family history and upbringing in Cardiff has inspired the Museum of Homelessness. "The First Woman of Black British Comedy", Angie Le Mar, describes how she toured doing stand up while raising her children, rebelled against her strict religious upbringing, and explains how a chocolate Labrador helped her during a low point in her life. Dr. Scott Miller is an Australian vet who has worked with animals since the age of seven. Passionate about wildlife and animal conservation, he has dealt with everything from fitting a gold tooth on a sloth bear in India to performing emergency CPR on a chipmunk. Social architect Zac Monro, talks about how he has led a "not so secret" double life, being twice-crowned air guitar world champion. And Ian Hislop shares his Inheritance Tracks. He chooses: A Swingin' Safari performed by Bert Kaempfert And His Orchestra and Life Could Not Better Be, by Danny Kaye. Shirley Valentine is currently on a UK tour. Full Circle, Turning Your Gift Around by Angie Le Mar, is out now. The Wipers Times runs at the Arts Theatre in London until 13 May.